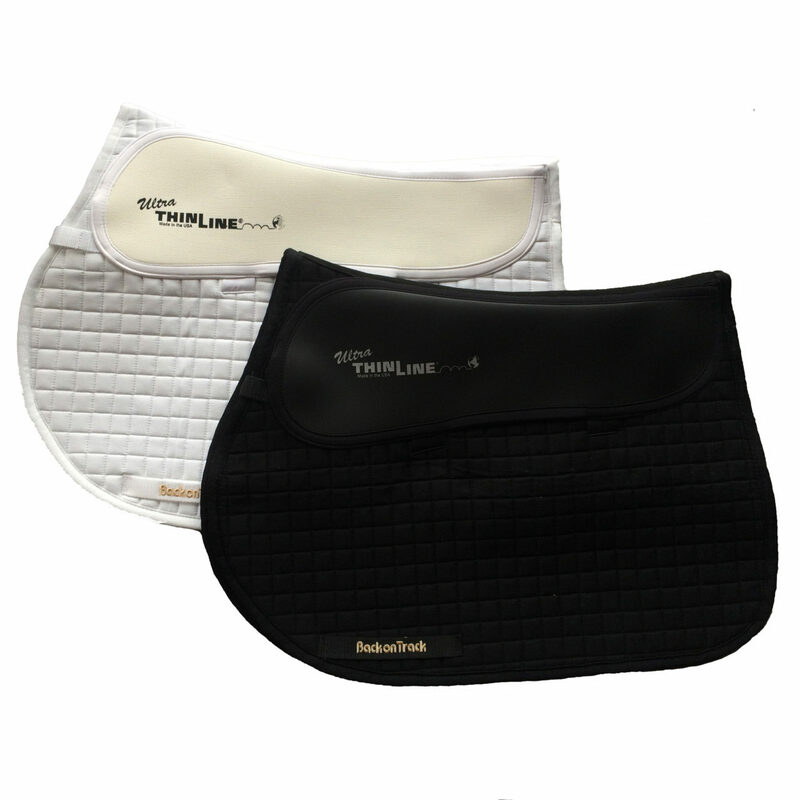 By combining the technologies of Back on Track and ThinLine, we’ve developed the most technically advanced saddle pad available today. 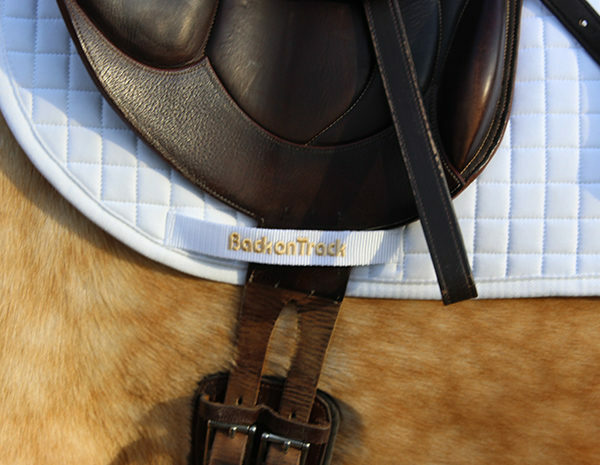 The Back on Track Contender II Saddle Pad is a favorite among some of the top riders worldwide. 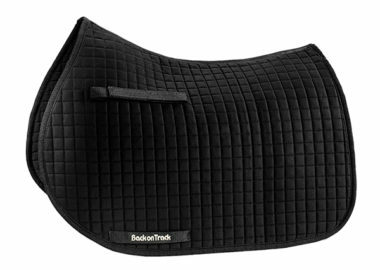 By combining the technologies of Back on Track and ThinLine, we’ve developed the most technically advanced saddle pad available today. 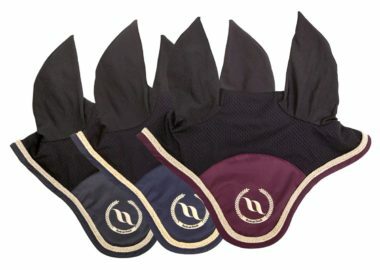 Back on Track’s Welltex technology leverages your horse’s own body energy to keep its muscles loose and relaxed while riding and ThinLine’s UltraThinLine material provides maximum shock absorption and comfort for both you and your horse by diffusing concussion and impact. 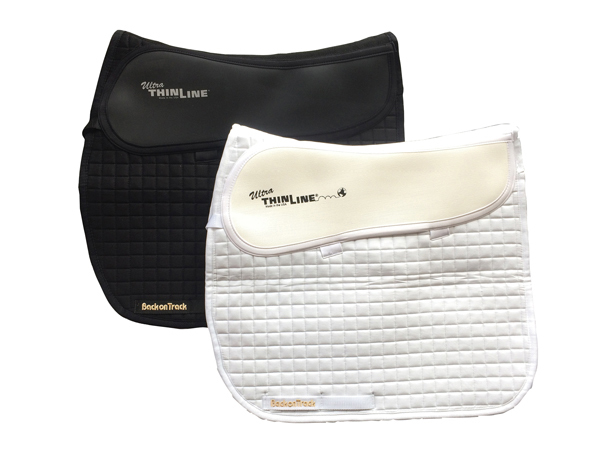 The ThinLine design also improves saddle fit without excess bulk, keeping you and your horse close while riding. 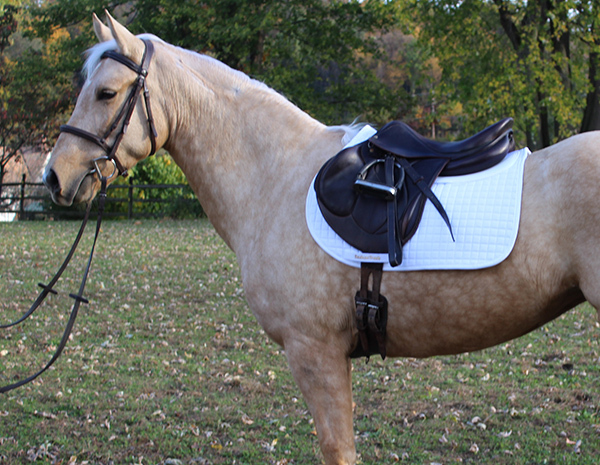 Our Contender II Saddle Pad comes in Dressage, all-purpose, or Western styles. 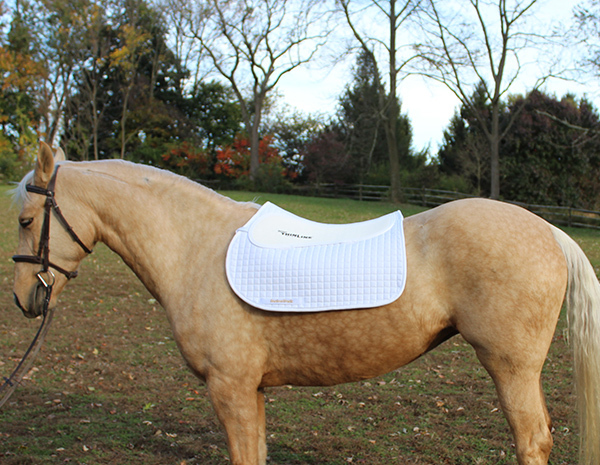 This saddle pad is shimmable if needed. 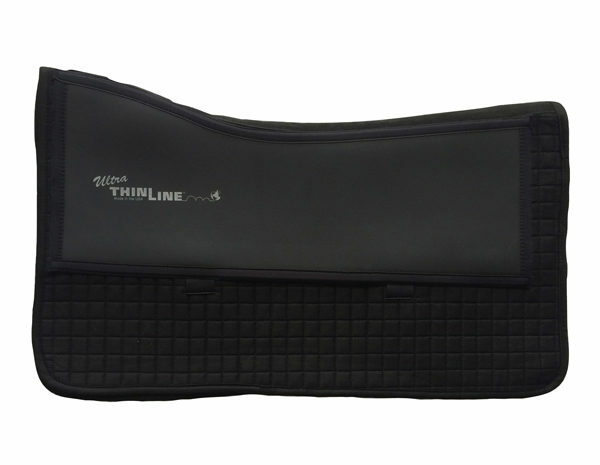 Please contact ThinLine for Shims. Colors: Black or White. 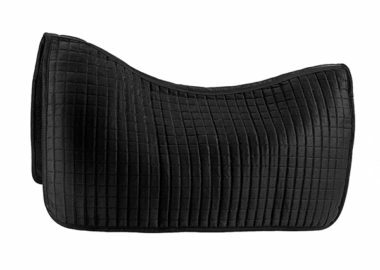 Western Pad only available in black. 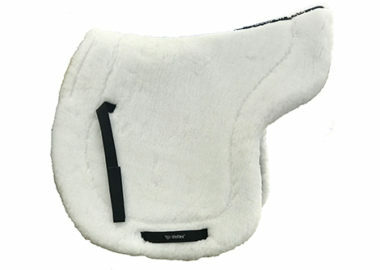 Western: 29″ spine x 16″ drop at wither, 14″ drop at center and 15″drop at end of pad.